For those that don't follow my Facebook updates, I'm currently having the time of my life, on holiday in Japan. Over the past few years I have done so much research on Japanese fishing styles, visited so many Japanese websites, gawped at countless Japanese fishing products and tried (and mostly failed) to decipher lots of Japanese text, that I have become rather fascinated by Japan and its people. So here I am! I quote my nearest and dearest: "It's not a fishing holiday." However there are a few 'requirements' on the to-do list. 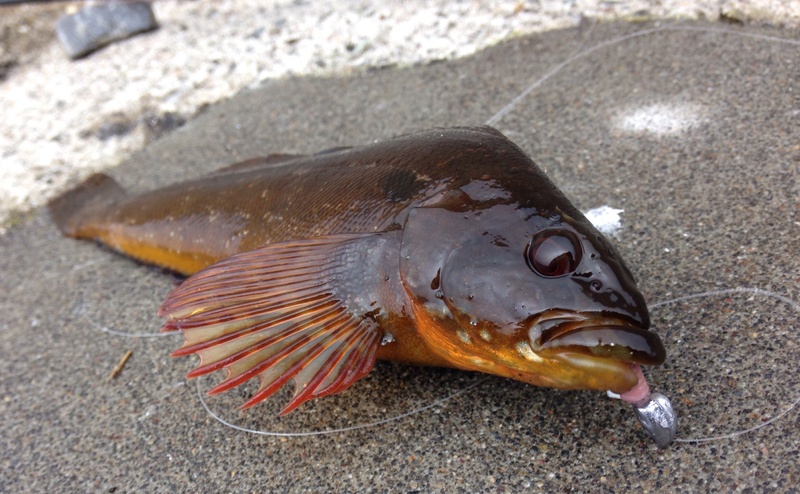 Chief one (for me), catch a rockfish in Japan. And here she is. My first bonafide Japanese rockfish. Looks familiar hey, but probably a type of Greenling. Possibly a Spottybelly Greenling. I think the Japanese name is Kujime. Not massive, but means an awful lot to me. An angling pilgrimage of sorts.